New Mississippi State coach Ben Howland talks UCLA, SEC basketball and more. STARKVILLE, Miss.— At 8:30 on a recent weekday morning, Ben Howland flips through a copy of the Starkville Daily News in a front table at the Starkville Cafe. As he plows through a plate of eggs, bacon and hash browns, he greets all the locals by name who stop by his table. “Have a nice day, Chris!” he says, cheerily. As Howland walks out, he takes a recruiting pitch from one customer trying to convince Howland to get his car detailed. Just a few weeks after one of the most jarring zip code changes of college basketball’s offseason—from Santa Barbara, Calif., to Starkville, Miss.—Howland appears to have adjusted. Instead of the frequent celebrity sightings at his old job, UCLA, Howland has become a celebrity here. My prevailing feeling after spending a morning with Howland last week was that he’s delighted to be in Starkville because all he wanted during his two-season hiatus from basketball was to be wanted again. Mississippi State proved that after firing Rick Ray, giving Howland a four-year deal worth more than $2 million per season. 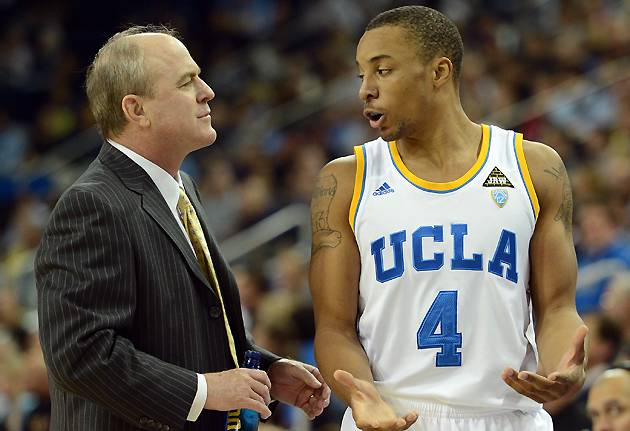 Howland led UCLA to three straight Final Fours from 2006-08 during his 10-season run in Westwood, which ended in 2013. He coached 18 players who appeared in the NBA, including Kevin Love and Russell Westbrook. He won 68.5% of his games at UCLA before a clunky ending culminated with an inauspicious exit. Howland became aloof, the NCAA investigated two of his high profile recruits and the same defensive style that revived the Bruins from the depths of the Steve Lavin era suddenly wasn’t exciting enough. Howland admits that he could have handled things differently at the end of his time in Westwood, but he’s quick to point out that UCLA won the conference his final year there and led the league in scoring. Howland sat down with SI.com for a wide ranging Q&A that touched on everything from nemesis critic Bill Walton to dining in Starkville to why he’s so optimistic that he can turn Mississippi State into a perennial contender. SI.com: Starkville from Santa Barbara. Your impression three weeks in? Howland: The thing I’m so impressed with having been here are the people. You just saw it there at the Cafe this morning, everyone is coming up introducing themselves. I’m so happy I’m here, I’ve never felt so welcome anywhere. It’s that southern hospitality. This is the Hospitality State, so it’s pretty cool to be in an environment here. My wife and I—her more than me—are really strong Christians. Her whole life revolves around studying the Bible, Bible study, after-school Bible class she does for little kids on Wednesdays, teaches Sunday school. I know culturally—once she gets here [fulltime]—she’s going to really feel comfortable here. When you go to the big city, you’re in New York, Boston, you’re in L.A., you walk in the streets and nobody says anything to you. It becomes so impersonal because there’s so many people. That’s not the case in small town Starkville, and I think of that as a positive. SI.com: You grew up in California, played overseas and coached all over. Can you see yourself here? ​Howland: I’ve been all over—Flagstaff (Ariz.) to Pittsburgh to South America. I’ve lived in some completely foreign environments to what I grew up in. I knew I was gonna go somewhere. And the thing in being in the South and being in this conference, the potential for the SEC to really be strong is significant. You see a real emphasis on big-time coaches being hired right now. Bruce Pearl last year, Rick Barnes, Avery Johnson, there’s already great coaches in the league. Hall of Famers in John Calipari and Billy Donovan, two of the very best—if not the best—over the last decade. It’s a great conference. This league has the potential to get seven teams in [the NCAA tournament] on a yearly basis and certain years, eight or nine even. That will be exciting when this league can get eight teams in out of 14, or nine in, like the old Big East when they had 11. I mean 11 out of 16 [in 2011], that’s pretty impressive. SI.com: Do you feel like you can be part of a culture shift that prioritizes SEC basketball? Howland: That was something that was obviously discussed between the presidents and athletic directors of this conference—let’s put more resources into basketball. There’s no reason we can’t be special in basketball like we are in football. It’s clear, it’s not even debatable, that the SEC football is the best in the country. It has been for a long time, it’s not even close. SI.com: Things obviously didn’t end well at UCLA, as the Sports Illustrated article was unflattering and the NCAA came calling. How do you reflect back on that? Howland: What I do think is reflecting upon my 10 years there, I had great memories and positive feelings about my time at UCLA, and I’ll always treasure and appreciate and feel very grateful and blessed to have been the coach at that institution for 10 years. Were there ups and downs? Absolutely. You’re always trying to learn from the past to plot a course in the future that will be better. You’re always trying to learn. It’s going to be exciting. I’ll do the best job I’ve ever done in my career in my opportunity to be here at Mississippi State. That’s something I feel strongly about. SI.com: Bill Walton became a vocal and somewhat awkward critic toward your end at UCLA. With some time gone by, how do you view his criticisms? Howland: I just think if John Wooden would have still been alive, he would’ve stood up for me. He would’ve found that, however you feel as a former player, and there’s no question Bill is one of the two greatest college players ever, and played at an institution with unbelievable success ... he was an incredible player ... but we’re all part of the same family there, and (Wooden) would’ve never stood for that. In terms of it being his program because it will always be John Wooden’s program first and foremost. SI.com: You had said all year that you really wanted to come back this year. What was the courtship process like with Scott Stricklin? ​Howland: It wasn’t much of a courtship, it was more of a slam bam deal. They let Rick go and reached out to me right away and went from there. It was done in a couple of days, I can’t even remember. It’s been a whirlwind, this whole process, coming in with my wife and daughter, taking the job, meeting everybody. They announced on a Monday night, and Tuesday I had a press conference. I stayed up till 2:30 a.m. studying for the NCAA recruiting test, because in order for me to make recruiting calls the next day, I had to take the test. The worst thing in the world could’ve been ... I’ve never not passed a test ... I think the worst I got was one wrong, but still you’re paranoid about it and in two years they change a lot of rules, so I’m going through part 13 of the book, and they got all these rules and practice tests. I was up till 2:30 in the morning. I got 100. SI.com: ​You took two seasons off, visited a lot of coaches and did some media last year for Fox Sports 1 and NBC. What did you learn? Howland: The first year I didn’t do media, so this last year was much more interesting from the stand point, going every week from my home in Santa Barbara to the East Coast to do A-10 games and that was really fun. The fun part was preparing for the teams. Just like you do when you’re coaching, you’re preparing for the opponent, but you’re also watching for yourself. Just the camaraderie, being around the kids, it’s just so fun to be around the kids again. I had a great experience hanging out with one of the kids who was a California kid at St. Bonaventure. First of all, I couldn’t believe what a great job Mark Schmidt at St. Bonaventure does. He has such a hard job recruiting there. He had this kid who went to Mayfair High School (in Lakewood, Calif.), Dion Wright. And I’m hanging around with this kid in the locker room for an hour, talking to him, watching film. The kids are one of the big things I miss most and having that relationship with players. I’m looking forward to that here. SI.com: You mentioned stopping in Kansas, Michigan State and Arizona to watch them practice. Those are some successful coaches. What’s one thing you learned each place? Howland: Bill Self’s offensive system. He’s won 11 straight conference championships. I was saying on the air, I think it’s one of the most amazing accomplishments in modern day basketball. If you look at the last 50 years, no coach has done more than him. Period. Their system, how they isolate the post, he does a great job at both ends of the floor, defensively. His system is really unique in the amount of success he’s had in it. When you think about Michigan State, I don’t know if there’s a coach in the county that gets more out of his talent level than Tom Izzo. All the different sets, all the different things they run, the camaraderie they have with the kids is really good, the facilities are incredible. This year, what’s the greatest example of how good he is in getting the most out of his team and his ability. Because when I watched them, I would’ve never thought they were going to be a Final Four team this year. It starts with guard play, I thought Travis Trice and Denzel Valentine were really good. When you have good guards, it gives yourself a chance to win. And then Sean Miller has done a great job. His biggest strength is the defensive end, where he does a great job. That makes me feel good, because that’s what I did in the Pac-12 when I first got there. He’s done an incredible job in a short amount of time in terms of instilling a culture there that’s going to be long lasting. SI.com: Favorite spots so far in Starkville? Howland: Haven’t been here long enough. The two restaurants I’ve been to the most are the Harveys and The Veranda, and those are great. I like Starkville Cafe. SI.com: How are your cowbell ringing skills? Howland: I’ve done it a couple times, but will have to get better at it. What’s fun to go to is the baseball games. There’s great baseball here. SI.com: How did a year in the media with Fox and NBC Sports Network change your perspective on the media? Howland: It gave me a much greater appreciation for how much work goes into a telecast. Or even in studio. How many people are involved, the amount of team members, different people involved and how talented these people are. I was so impressed with the announcers I’ve worked with both in studio and just how good they are, and spend a lot of work and a lot of time to get that good is very impressive. And they were really good to me so I appreciate that, they brought me along from a rookie at the beginning to where I thought I was pretty good. SI.com: What style of play are you planning? Howland: I’m going to play like I did my last year at UCLA, really push the ball. We led the conference in scoring my last year, we were top 10 in the country with a real good team and fast-break opportunities. That really helped us that year. We won the conference. I’m proud of that. We started three freshmen. It really helped us because we probably won three or four games by pushing it so hard. What you see now is kids are so into celebrating after they make a basket, there’s a lot, and when you take it out quick, one I appreciated this year is Dayton. I watched them the A-10 tournament and they’re playing against two teams in the first and second round and guys want to celebrate, they made a basket, they’re taking it out quick and scoring at the other end while you’re celebrating. You look foolish. SI.com: What other coaches impressed you that you may not have seen much of until your media stint? Howland: I really think Tony Bennett has done the best job in the country the last two years, building that [Virginia] program. Bo Ryan—Wisconsin’s style and the motion that has dominated the Big 10 and ACC last two years, how they defend, recruiting guys who can all shoot, know how to play, it’s really been interesting. And then in the A-10 in particular, John Giannini at La Salle—what a great guy and great personality. It was fun to be at Phil Martelli’s [Saint Joseph's] games and watch him in action up close. Archie Miller does a fantastic job at Dayton. I think [Rhode Island's] Danny Hurley is a real future star in our business. The first two years were really hard there building something out of nothing, and now that he’s got it going a little bit he wants to enjoy it and ride this for a while. SI.com: Any final thoughts on this job? Howland: The league is on the up rise. If you can finish in the upper half of this conference, you’re going to have a chance to make the tournament. At the end of the day, that’s what it’s all about, postseason play and getting to the NCAA tournament wherever you’re at. And then when I looked at the success football had last year and what Dan Mullen has done, that gives you a lot of hope you can do it in basketball. He’s done a great job. Incredible. And they’ve scheduled right. I didn’t want to be out three (years), so I was going to take a job this year, I’m glad this opportunity came because as you’re sitting there the whole year, you’re trying to anticipate what may or may not open. And the thing that was really good for me is Scott really wanted me, so it was really nice to be somewhere where you’re wanted and appreciated.